On 15 April, Fast Food Rights is organising protests at McDonald’s in cities and towns across Britain, as part of a global day of action in solidarity with the fast food workers’ strike movement in the US. There, fast food workers have risen up in an inspiring movement for $15 an hour and a union. Thousands walked out on strike, demanding these mega-profit companies pay a wage workers can live on. But their movement is not just about pay. It is about justice, dignity and respect. Here, austerity Britain has seen the scandal of zero hours contracts, poverty pay and the same crappy conditions and lack of job security and respect for low paid workers. Fast Food Rights was set up to campaign on these issues and raise awareness of workers’ rights to a living wage and to organise in unions. 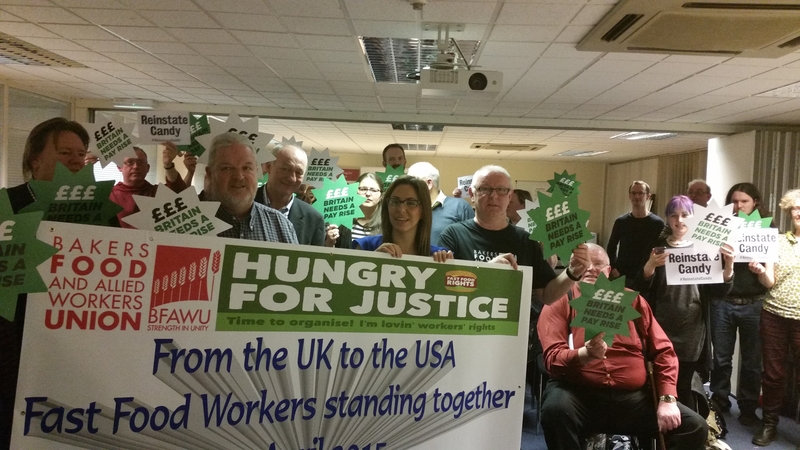 Fast food workers are joining the union – it’s time to get organised! Fast food workers in the US have shown what is possible―their strike movement is beginning to win real wage rises. Here, we are fighting for £10 an hour now as a minimum wage for all workers. We want to scrap zero hours contracts. Of course flexible shifts suit many workers. But we don’t need zero hours for flexibility. Scrapping zero hours contracts means workers won’t have to fear that if they say no to a shift they don’t want, they’ll be punished with their hours cut on the next rota. All workers deserve the right to organise our lives and have job security without worrying if we’ll manage to pay the bills. We are campaigning to abolish the youth rate. Many younger workers are breadwinners. Why should anyone get paid less for doing the same job because of their age? And crucially, we want union rights so workers can organise to get better pay, conditions and respect at work. The money is there! MPs gave themselves a 10 percent pay rise and the rich are getting richer, while workers struggle by on poverty wages. Recently McDonald’s has been exposed in avoiding paying its tax. These multi-billion profit corporations can easily pay a wage their workers can live on! On 15 April there is a Global Day of Action. As fast food workers are protesting and striking across the world, there will be major protests in towns and cities across Britain.Watch this space for details of local protests. 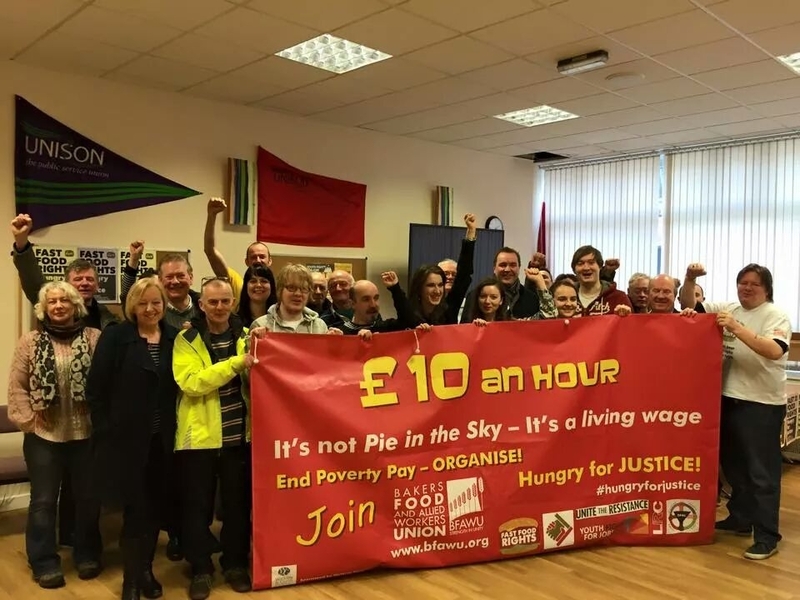 Already in London, Glasgow, Newcastle and Sheffield activists from the Bakers’ Food & Allied Workers Union (BFAWU) and Fast Food Rights campaigners have held meetings and are planning big protests on the 15 April. Get organised in your local area, contact the campaign and link up with BFAWU to get planning for the day of action.